Every summer the Mateel presents a performance from the Tony award-winning San Francisco Mime Troupe who produce hilarious satirical plays about current political issues. 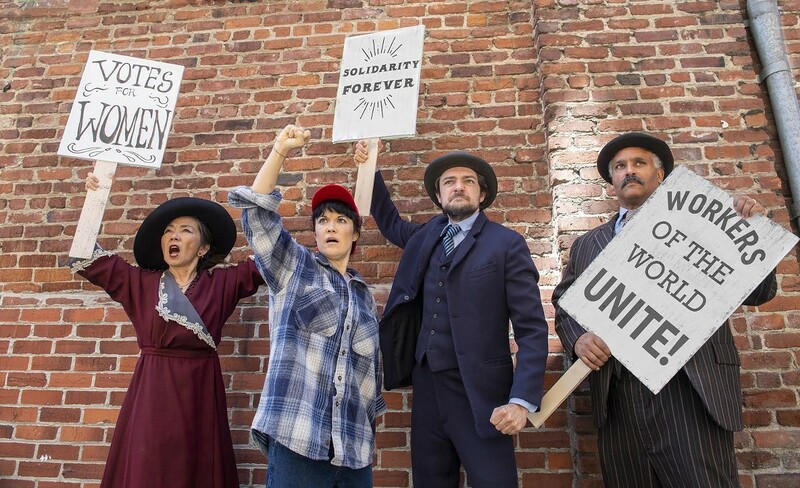 2018 Seeing Red: A Time Traveling Musical travels from present day to 1912 and asks the questions: what will it take to get people to stop voting against their interests? And how do we overcome the divide-and-conquer tactics that keep us all down?